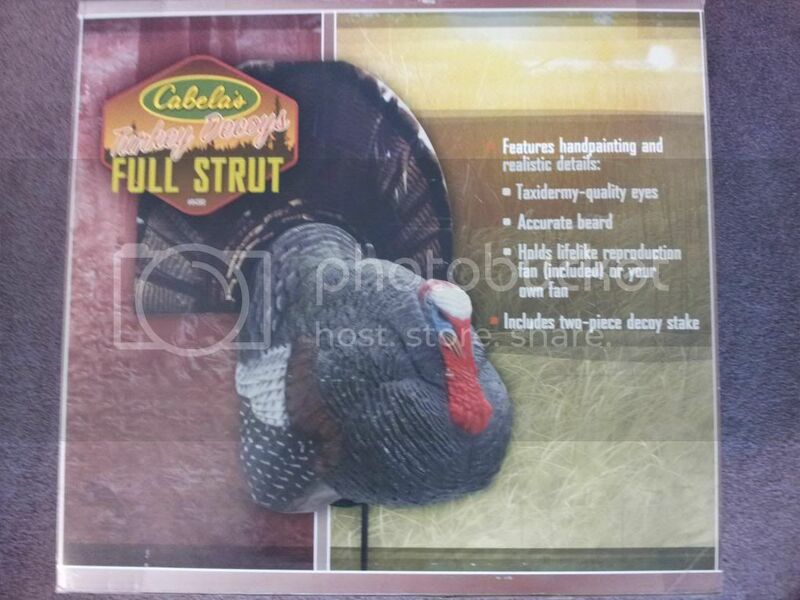 For Sale, New with box Cabela’s brand strutting tom turkey decoy. 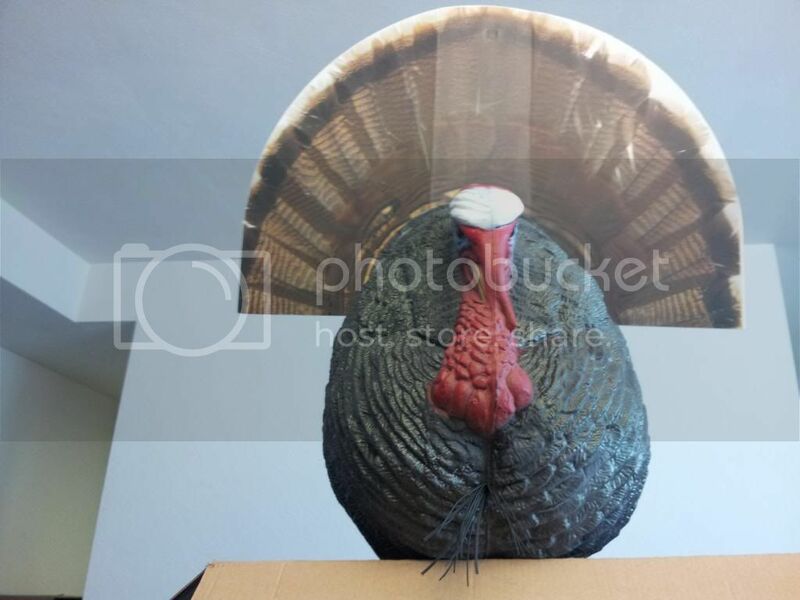 I purchased this decoy but am not going to be able to use it so my loss is your gain. I have opened the box to look at the decoy and take pictures of it but it has never been outside. Comes with a fake tail fan but you could very easily add your own real fan for even more realism. 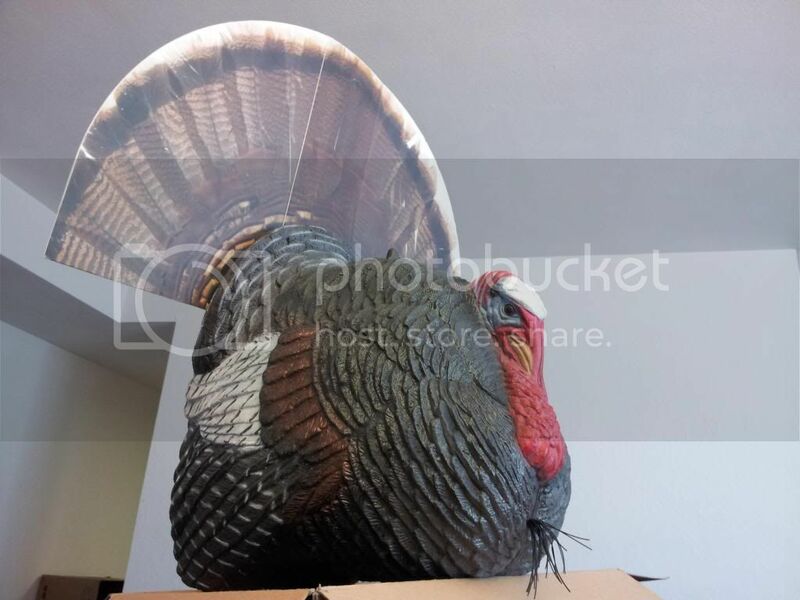 This is a very realistic decoy with hand painted details and taxidermy quality eyes. This decoy is collapsible and will be easy to take in and out of the woods with you. Contact me by email through the site or call/text five 6 three 60 eight zero two 6 six. Located in Peoria, IL. Will ship for $5. ja, How much you want for the decoy? Yeah that might help me sell it. Thanks for the heads up. I am asking $40 OBO. I have a Boss Buck decoy I could part with for $100 ???? ?